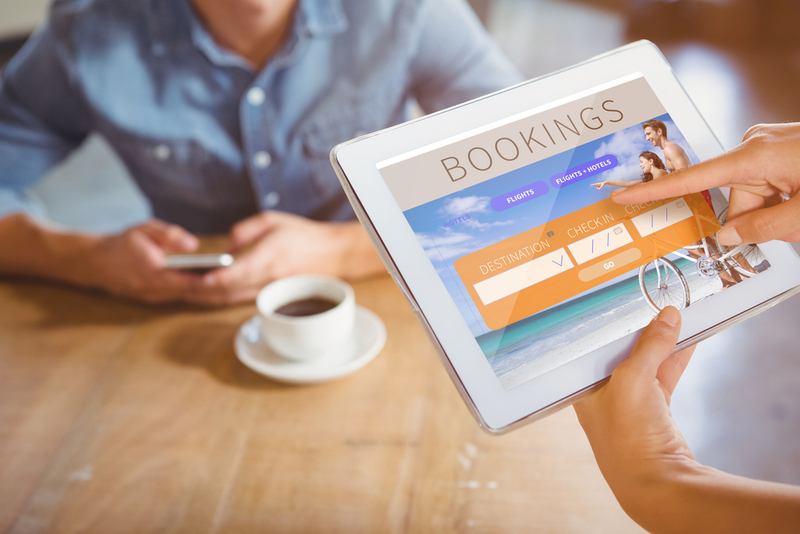 The number of reported cases of holiday booking fraud has spiked in recent years. Sophisticated criminals have come up with plenty of scams to trick those booking holiday rentals online. How can you be sure the accommodation really exists? How do you spot fake listings? Before you book a villa or apartment on Airbnb, Holiday Lettings or HomeAway, follow these tips to avoid being caught out by fraudsters when booking your holiday. According to police statistics, holidaymakers were conned out of £6.7m last year, booking holiday let apartments or villas that didn’t exist. Holiday booking fraud not only causes victims significant financial losses, it also has a substantial emotional impact. How do holiday booking scams work? Unsuspecting victims are tricked into transferring payments for seemingly genuine holiday properties to conmen disguising themselves as the real property owners. Hacking into legitimate accommodation owners accounts on listing sites. Example: Bridesmaids conned out of £2.3k after fraudster intercepted messages with the villa’s real owner on HomeAway. Posting fake adverts on listing sites such as Airbnb and HomeAway. Example: Fake listing on HomeAway dupes holidaymaker out of £3000. Set-up bogus accommodation websites using photos and details lifted from genuine websites. Example: A holiday home owner was horrified when scammers copied details of her property and took rentals on it without her knowing. 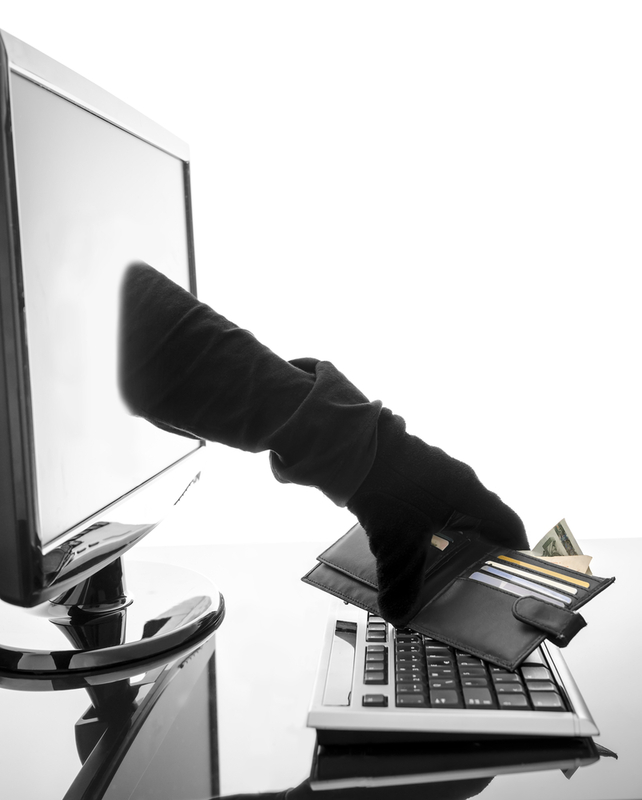 (For further information read our post on how holiday booking scams work). In many cases, the fraudsters suggest you contact them directly rather via the listing site’s official messaging service. They lure you in with the offer of a discount if you send money quickly by bank transfer to secure the booking. As soon as payment is made, the scammer stops all contact and vanish with the money. At this point, the victims discover they have been duped. In the worst cases, holidaymakers arrive at the villa to discover they don’t have a legitimate booking already or the property does not exist. Although thousands of holiday villas and apartments are booked each year without a problem, you don’t want to be a victim. If there is something about the website, the property description or the owner communication that you aren’t happy about, or if the deal seems too good to be true – use your judgment. Don’t be duped. There are plenty of other genuine holiday homes out there. 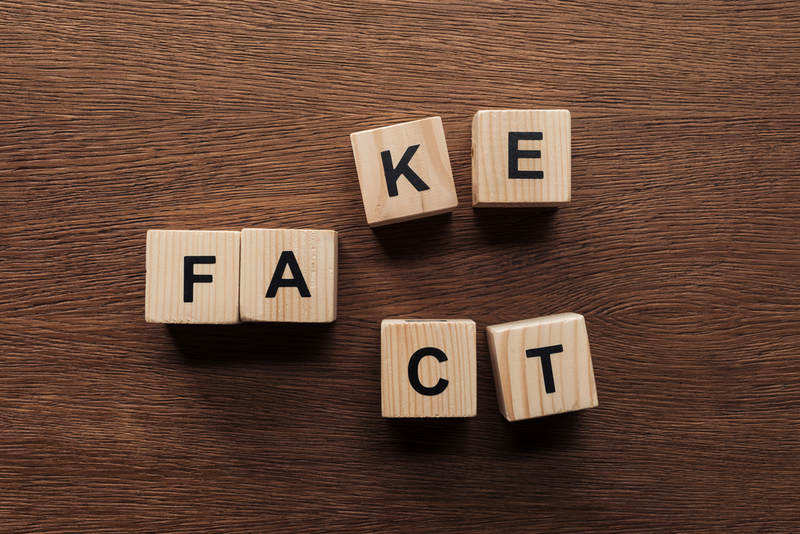 To avoid being caught out by a bogus holiday rental scammer, follow these basic steps to check if an apartment or villa is genuine before booking. Avoid paying by bank transfer or cheque, rather than using your credit or debit card. When you are caught up in the excitement of booking a holiday during the summer and in December, it’s easy to get lured in by a bargain and last-minute deal on accommodation. Check the rates of other similar rentals in the area as well. If it’s way lower than other properties or if there is an urgency to booking immediately, question why. Trust your gut. Properties that look too good to be true usually are. Many holidaymakers book holidays online without any prior communication with the property owner/manager. However, messaging the host who has insider knowledge of the area can help reassure you that the holiday home is genuine and as advertised. Ask them questions that aren’t directly related to the property. Can they recommend any good restaurants or local beaches? What do they suggest for a day out? Where’s the closest supermarket? Genuine rental owners will be happy to oblige and share their knowledge. If they don’t, proceed with extreme caution. Most holiday rental listing sites feature reviews from past guests. Read through them and don’t be put off if a few are slightly negative, it’s how the owner responds that matters. There are opinions that testimonials and reviews can be ‘faked’, but verified reviews are a good sign of trust. Especially when they span a few years. If there are no independent reviews of the rental you need to do further checks. Can you obtain the contact details for the owner, including the property address and phone number? Although some owners will be unwilling to disclose these openly on their website and most listing sites now hide the hosts’ contact details (they only allow contact through their official messaging platform), there should be no problems getting these at the booking stage when the owner knows you are serious. If booking through a rental listing site such as homeaway.co.uk, holidaylettings.co.uk or Airbnb, the advert should show (near the contact details) how long the property has been advertised on the site. The length the advertiser has been on the site is usually a good indicator of the owners’ experience. The longer the better. Once you have details of the owner and property, turn to the search engines to do some research. By entering the address into Google maps you should be able to verify the address and use Google street view to see the actual holiday let. Do the photos on the advertisements match the images on street view? Is there a booking contract? The holiday property manager should send you a booking contract to sign when you book. This outlines the terms and conditions of the holiday and should include details of the property address etc. Is the availability calendar updated? A calendar showing all available in peak season when everywhere else is full could be ‘flag’. A trick scammers use is to advertise the most expensive peak weeks at a discount to hook catch bargain hunters out. Try Rapportive (for Gmail). Use the owners’ email to pull other data on their social profiles. Do they match up? If you have concerns, ask for a utility bill for proof of ownership. However, some owners won’t be comfortable with until they can verify who you are due to their own identity theft concerns. If the owner has their own website, do a whois lookup by entering the website address in the search box. This shows details of who owns the website. Does it match the owners’ details provided to you and those on listing sites? How long has the domain been registered for? If it’s only a few weeks be cautious. Does the owner/property have any social media pages? Is the property managed by an established villa management company who does the cleaning or meet and greet? Ask for their details so you can verify the rental. Try a reverse image search on photos of the property (using a Chrome browser, right click on the image and choose ‘search Google for image’). If you find the same photo being used for several different properties, it’s probably a scam. If you’re not sure, contact the holiday rental listing site where you found the rental as they are likely to have carried out their own verification checks on the advertiser. What is the safest way to pay when booking with the owner direct? 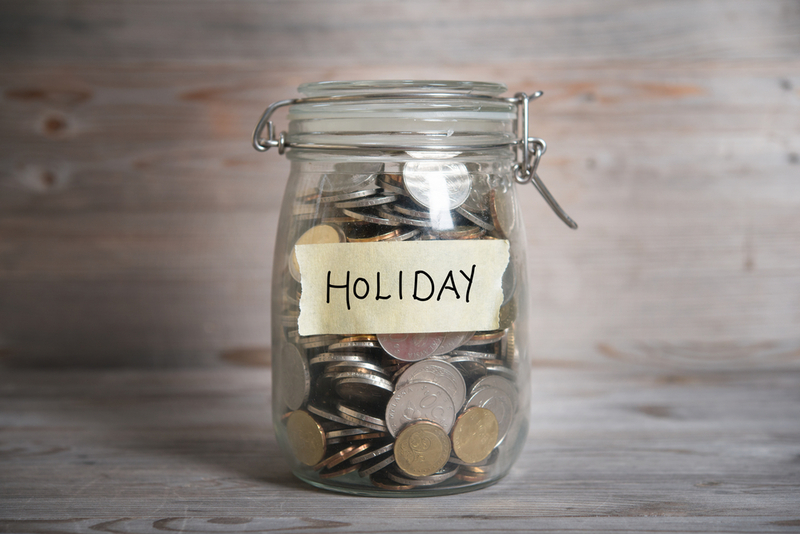 The level of protection you have depends on how you pay for your holiday. When booking direct with the owner, personal cheques or electronic bank transfers have traditionally been the preferred method of payment for many holiday let owners. However, bank transfers are like paying by cash. Once the cheque or money transfer has cleared, there is very little consumer protection and it will be difficult to recover funds in cases of fraud. That’s why scammers request a bank transfer. If a bank transfer is the only option, then do extra research as above. Some hosts may take payments via PayPal, which allows you to pay online via credit card. PayPal has its own buyer protection scheme – yet according to moneysavingexpert.com it is inferior to Section 75. If you pay using a debit card, you may be able to ask your bank to get your money back through the chargeback scheme. Credit cards have the greatest protection if you are scammed, as you can make a claim against your card provider under Section 75 of the Consumer Credit Act. For Section 75 to apply the holiday you paid for must have cost over £100 and not more than £30,000. Paying by credit card offers the most comprehensive protection from fraud when booking a holiday. If you are booking direct and the holiday home owner doesn’t accept credit cards (they should as it’s easy to set up), make sure you are certain they are genuine. Avoid paying for accommodation by untraceable methods such as wired money transfers by companies like Western Union. Common holiday rental payment procedure is 25% deposit and then the balance 6-8 weeks before departure. If full payment is requested upfront for a reduced rate – be cautious. Obviously, late bookings will require payment in full, but use a payment method that offers protection such as credit card. What consumer protection is there when booking via HomeAway and Airbnb? HomeAway offers a ‘Book with Confidence Guarantee’ if you complete your booking online and pay through HomeAway checkout. If you make a payment outside their website your payment isn’t protected against things like listing fraud and phishing. From Airbnb: Keep yourself, your payment, and your personal information protected by staying on Airbnb’s secure platform throughout the entire process—from communication, to booking and payment. You should never be asked to wire money, provide credit card information or otherwise pay a host directly. If you are, report it to us immediately. What can you do if you’re the victim of holiday booking fraud? If you booked via a listing website such as HomeAway or Airbnb then contact them to see if your payment is protected. If you paid by credit card, you have protection if things go wrong under Section 75 of the Consumer Credit Act. If you paid by debit card you may be able to reclaim your cash via your card provider’s Chargeback scheme. If you’ve transferred money into another bank account, you should contact your bank immediately to see if they can recover the funds. If you’re the victim of a travel-related fraud, report it to Action Fraud (or by calling 0300 123 2040), Trading Standards and to Citizens Advice Consumer Service. However, in many instances, no action will be taken. It’s unlikely that standard travel insurance will cover booking fraud, but you should check the terms and conditions of your individual policy just to be certain. Holiday letting portals are constantly taking steps to reduce villa rental scams by verifying owners, securing communications and pushing for properties to be booked online. However, holidaymakers still get caught out. Millions of travellers book holiday villas and apartments every year without any problems. Always use your credit card to pay for the booking for maximum protection if the booking proves fake. 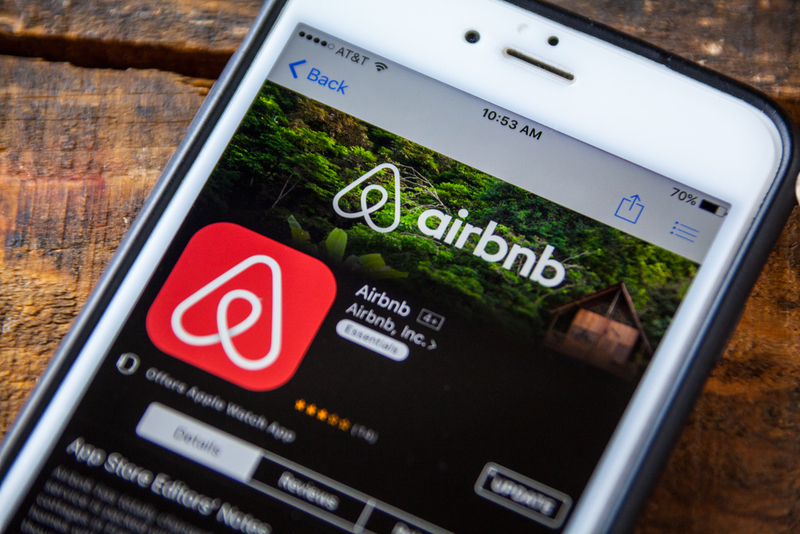 When using listing sites such as Airbnb or HomeAway, only communicating with owners through the website’s messaging system and paying via the sites own secure booking portal. Follow our tips above and trust your gut. Properties that look too good to be true usually are. As always, we welcome your comments below which will help other travellers. Great tips. I have looked into paypal and found one potential pitfall for owners – customers can make a “chargeback” after they have stayed in the property. I hope the people who do this are few and far between though. Interesting point, I’m not sure if this also applies to credit cards? This could be problem when taking payments for last minute bookings without verifying guests. By posting key collection details to an address, at least the owner will have proof of address to dispute chargeback’s. We offer all our owners free online booking software that allows them to take credit cards which connects to Paypal to process the payment. The owners have the option of charging an administrative fee that covers the credit card costs and I am sure the holidaymaker is only too happy to pay the extra for peace of mind. We also guarantee the payment in case of any subsequent problems with Paypal but in the years we have been operating this we have never had a holidaymaker making a chargeback claim with Paypal. Thanks for your comment. Seems like you are taking some positive steps to protect payments. Hopefully other holiday rental portals will adopt such measures. Validation schemes like the seal of approval scheme run by yourholidaymatters.com can play a very positive part here as well. Equally Visit Britain assessements for example can only be achieved if visited by an inspector, so a VB Star rated property does at least exist, and you can check it’s not a scam by looking for the property on the VB site itself! Some good advice here. The whois tip is especially good because it provides a way to see who owns the website. I would always advocate paying with a credit card. That way the consumer is protected and can charge back any payment. I would also suggest that consumers check with listing websites what checks they have done before allowing someone to advertise. It has aleways been my opinion that some of these sites, although clearly not involved directly, actually facilitate the fraud because their checks are simply not good enough. That includes and actually is led by the really big sites; corporate giants that are interested in profit over and above consumer security. It’s good to see that more and more listing sites are starting to ‘take notice’ of the problem and are vetting owners a bit more before listing them. Pure Holiday Homes recently launched a scheme where they verify owners and highlight those owners on their website so that they stand out from the rest. Yes, it’s good to see some sites ‘verifying’ more thoroughly. Should the market leaders offer consumers a form of free ‘booking guarantee refund’ in the event of being a fraud victim via an ad on their site? I expect the ‘main players’ in the holiday rental market will offer online booking/payments in the future which should solve some of the problems. This is probably a few years off yet though. Its still a real problem for people who want to rent a holiday home. Just over 50% of the U.K market prefer to book their holiday home direct with a bonded agent to prevent just this problem. I would agree with all the points in this article. We have two rental villas in Northern Cyprus and frequently rent to people from outside the UK, so it would be particularly handy to be able to take credit cards from our perspective, as much as the buyer. Recently, we thought we had the answer, as one of the major holiday rentals websites now gives us the option of offering payment by visa or MasterCard even when the bookings are from our adverts elsewhere. Initially this looked very attractive, as the cost to us was only 2% of the rental price. However, we discovered that the company forced our guests to pay an additional 4.5% during a lengthy sign-up process, meaning even Paypal would have been cheaper, in absolute terms. If someone were to set up a reasonably priced system to enable holiday home owners to take credit card, they will be filling a very large gap in the market. Alex, I agree that there is a gap in the market to be filled with regards to online payments for holiday rentals. From what I recall, one of the major holiday rental portals have introduced a solution in the US…not sure when/if it will rolled out to Europe? Just spent 3 days trying to verify apartment. Owner only been advertising on website 3 weeks, lots of availability, very little detail. 50 % deposit and wanted Bank transfer to wifes account(different name). Asked lots of questions and queried address, owner stopped communicating! Was this possible fraud or did he get fed up with the questions, I’ll never know. Wish there was an easy way to verify, we may have missed out on the best apt. we’ve ever had the chance of OR maybe narrowly missed being a victim. We’ll never know. An owner should be prepared to answer lots of questions, especially if there is a lot of availability for the property, so I think yo have avoided being scammed This is our first year renting our property and we enter into long correspondence with our renters. The tip about checking the domain registration is a good one, if there is a website – most scammers won’t take the trouble to set up a proper website. Most owners will be more than happy to answer any questions over the phone, it’s a simple but effective way for travellers to reassure themselves that the owner is genuine. We went to stay in a holiday villa in Sayalonga in Spain in June 2011. Beautiful villa and the property managers very friendly but they had placed a gas cylinder underneath the BBQ that was too big for it so after it had been lit for awhile the rubber pipe leading from the cylinder caught alight ! Luckily we were quick to act and got the fire out before the cylinder exploded. At the time we had 2 children on the patio near it so the outcome could have been very serious. The property manager took responsibility for this stating it needed a smaller cylinder and that he didn’t know anything about gas BBQ’s. All would have been ok except on our return we did not receive out deposit back so we contacted the owner, from here the correspondence from him was extremely rude and blamed us for the accident and he never gave us an apology. I contacted the rental website where we booked and they said complaints needed to be dealt with through the owner! Which of course was never going to happen. We wrote a review which never got put up or did I receive any response from when we asked what had happened to it. We feel completely helpless – we were not looking for anything but we didn’t expect to be treated such contempt. It seems very harsh that a you haven’t received your deposit back, was a deduction made for the replacement pipe or the whole amount not refunded? Although there are two sides to every story, I expect most holiday rental owners wouldn’t deduct for such damage. In these situations one option is the small claims court, but for nominal amounts or when the owner lives in a different country, it’s usually not worth it. I would pursue an explanation from the owner for the deduction and the rental site for not putting the review up. For future reference, if there is an incident, always take photos/gather evidence to prove your case in the event of disputes. I’ve just been scammed on a villa in Altea, Spain. I searched and found a place on (website removed by admin). I sent an email on their online email facility and waited for a response. I got a response from a private email with my original online email enquiry attached. So I thought this was all legitimate and continued through with payment. I had trouble with Western Union and requested a bank account to transfer into from NZ. I was sent a TSB account but the extra charges put me off. Anyway, I paid $1,380nz through Western Union and it was picked up from the other end in the UK. I then subsequently received an email and phone call from the actual villa owners (I think because I don’t know who to trust now), saying that they hadn’t sent any payment instructions and they don’t use the email address. ALARM bells and tracing emails has resulted in being stitched up. Any help and advice to recover any of this money would be greatly appreciated. Firstly, I’m sorry to hear you have been scammed. Have you pursued all possible avenues of raising a dispute with the website, as some offer a rental guarantee? Most will simply state they are an advertising portal, and not liable. It appears you may have been a victim of what’s known as secondary phishing. Where the owner’s email has been hacked and compromised. Although this won’t be much use to you now, but will be to others, in the future follow the advice on this page and if in doubt phone the owner’s number displayed on the webpage before making any payment. Many of the leading advertising portals are in the process of launching online bookings and payment which should reduce such scams. I think it’s a bit unfair to struggling holiday rental owners to say that not having been on a rental website for a number of years may flag up a scam. We all have to start somewhere! If it’s a non-commission-taking site you’ll have the owner’s contact details – phone them and talk to them, ask them about the area, the facilities etc. and even ask for more photos if things described on the site don’t appear in any of the pics (we’ve been asked for these and have taken and provided them) – this shouldn’t be a problem in these days of digital photography. A genuine owner will ALWAYS be prepared to engage with you. Rent through a site that has an online payment facility – the background check on the owner is quite rigorous. The small percentage (2–3%) cost is usually added to the tariff, but it should be worth it for peace of mind. Hi Fiona, not being on a rental site for long is just one of the signs, when combined with others outlined in the post may warrant further checks. In previous scams websites/ads were setup to dupe travellers in a short space of time before they were discovered and taken down. I agree, engaging with owners is a great way to get reassurance. Although booking through a site that has an online payment facility can safeguard payment, to-date they aren’t widely adopted by owners (around 2%) on the leading rental site. We have recently been a victim of Internet Fraud when trying to book a villa in spain through (site removed by admin). We used (site removed by admin) as we felt sure they were a safe and secure method of enquiring to Villa owners. However due to their enquiry page being hacked we were actually corresponding with con artists who posed as the owners and we have lost £1600 paying for a fake booking. 6 weeks ago on April 9th 2013 we sent 6 or so emails to prospective villa owners enquiring about their properties. We received multiple replies and eventually settled on a Villa owned and managed by (name removed by admin). We negotiated the price via one phone call and several emails before agreeing the price. We were then sent bank details to transfer the funds. One week before going we contacted (name removed by admin) to enquire about arrival details and this time the number on the emails was dead. We found an alternative number through the web and finally got hold of him. This time we spoke to the REAL (name removed by admin) rather than the con artists. (name removed by admin) has said that his account through (site removed by admin) has been hacked and the email must be being diverted and all this time we have been dealing with Con Artists. We are now 3 days from supposedly going away with no Villa and no money having lost £1600 to the scam. I am not hopeful of getting the money back and i find it appalling that (site removed by admin) do not have good enough online security to stop their accounts being hacked. Being powered by (site removed by admin) i would have expected a high level of security and them to be able to spot a breach which could potentially cost thousands of holiday makers. Please be aware of this scam and pay via Paypal or credit card. We followed every other piece of advise by calling and getting contracts but if the con artist is posing as the owner this advice is worthless. The only protection is to pay by a means which covers fraud! Thanks very much (site removed by admin), we will now be stuck in the UK having lost over £3,000 including flights, hire car etc. Hi David, I’m sorry to hear that you have been a victim of what appears to be a phishing scam (see links in my comment above). You mention that there are also holiday insurance products available that provide more comprehensive protection against rental fraud, but this costs extra. Do you know which companies offer this, as Google has failed me? Hi Andy, Europ assistance offer a product, it’s offered on Homeaways’ site. As always with insurance, check the terms and conditions and that the cover is suitable for your needs. I rented holiday let in Cyprus, last year 2012, and I am still trying to get her to return my money. This owner lives in Cumbria. Her statements on her web sites are untrue, and it is not till you arrive at the property did we find out how much she lied for instance she advertises that the property as having lifts, when you arrive it only has one lift, and that has been declared unsafe, by the Developer, as she is refusing to pay the service charge, this only a another problem she not inform us of the building site opposite, she had been reported to to her by another person, back in July 2012. Sorry to hear of your experience. There are two sides to every story and often in this situation the small claims court is one option. Hope you resolve the situation amicably. We rent out our condo in Orlando. We have never had a problem with payment, however, we have a guest due to stay there next Mon, 23/12/13 for a week. Despite constant reminders, he has not paid his balance. His last communication said that he was going on a cruise, ending in Orlando and could he pay in resort. I replied, no, as the condo belongs to us. He still hasn’t paid despite us telling him that we will cancel his stay. Are we within our rights to do this? He will arrive at the resort where our condo is situated, and the staff there will have to refuse him entry. This seems unfair on them, but if this person doesn’t reply to any emails, I don’t see what other choice there is. We have a phone number for him, but no reply there either. Hi Mary, I’m not sure what your rights are, that’s one for a legal expert. I would keep any evidence you can to support your efforts to communicate with the guest. What do your terms and conditions say with regards to (late) payments? Hope everything works out for you. Some really great advice. It’s a shame really that users have to take such measures as listing sites should really be providing solutions to increasing their security and preventing email phishing scams or allowing fraudulent listings to be created. Something as simple as requiring a scanned utility bill with the owner’s details on and address of the property as proof of ownership, or, like eBay, setting up their own in-house communication function to prevent email hacking. Well it looks like I won’t now be taking my two eldest children – 10 and 7 – skiing in 9 days. My brother booked a villa through (removed by admin) for 7 of us…and it turns out that the guy ran off with our money. We only discovered this when my brother tried to confirm directions. When he couldn’t get through, he phoned (removed by admin) – eventually getting through. Despite their assurances about offering a “secure” service, it appears that the host was able to phish via the site. (removed by admin) apparently said there was a “technical problem” with the owner. A responsible intermediary, in my view, would have proactively sought out renters who might have been impacted by the so called technical problem. I suppose I should be grateful that we didn’t turn up to a locked villa. Hopefully the Christmas skiing clothes will still fit next Winter. Just back from a holiday from Isle of Wight, a group of 15, we reached the destination and realised that we were the targets of holiday booking fraud, stranded on an island with nowhere to go, one of our friends had transferred the money to the lady. She had talked on phone and looked genuine. Were are lucky that we got another accommodation, but not sure if we will ever get our money back. Have negotiated to rent a cottage in Tuscany..
30% deposit now – balance on arrival – deposit to be paid by bank transfer. After some tooing and frowing we were able to reserve and then the site prompts for credit card details? Just had a call from the agent.. credit card details are required as a good faith guarantee to secure the property whilst the bank transfer proceeds.. They won’t supply bank details required for transfer until the credit card details are entered on the system? This sounds a bit iffy to me… i don’t want to lose a nice rental property but I am not keen to put my full credit card details in and effectively hand over the keys to my bank account.. or is it just me? Hi, have you done the checks mentioned in this post to verify the site/owner? What site are you booking from – is it trusted? Why would they want credit card details and a bank transfer, seems strange. Credit cards offer more security but be wary of handing details over to strangers. I have booked an apartment in london through (removed by admin) and made £294 bank transfer. But never received any apartment details or refund. Basically website is fraud, reason of my post is to inform others about this scam website but also asking a question is there anyway I can get my refund. To all holiday makers planing to rent a property in Portugal for next year please be aware that from the 29 November 2014 a new national law will come out that prohibits any property to be rented without an official license, registration number and a AL signed installed on the front door. Any advert online must have this license number and registration number. We have just booked direct with an apartment owner in Spain and having read all of this I’m now paranoid! The site offers fraud insurance, but having read the small print, it only covers you if you paid the deposit less than 7 days ago, and we paid it 11 days ago :-(. The property has been listed since 2008, but only one review listed. I have chatted with the owner on a UK landline number. She hasn’t sent me any kind of contract so far or given me address details for the apartment yet. She ‘sounds’ genuine, but now I’m nervous. Our dates have been blocked off on the web page calendar, and I have noticed another date has been blocked off since presumably another booking. I would follow up if you don’t receive a booking confirmation and contract shortly. If you have concerns contact the listing site to verify the owner. 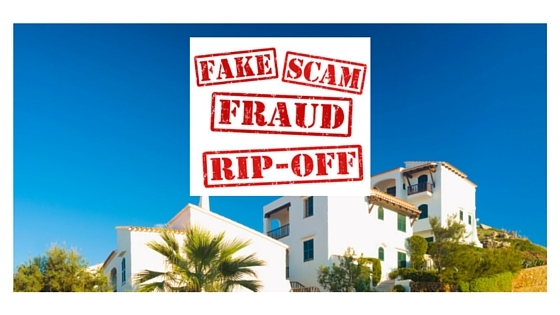 Bear in mind that scams are rare compared to the number of successfull private holiday rentals booked. Hi. I have read with interest the posts on phishing scams. I found out yesterday that I have been a victim of this, having paid just short of £7000.00 for a villa in Portugal in Nov 2014 for 14 of us to stay for our wedding in Aug this year (2015) to a bank account via International bank transfer with online banking. I contacted the villa owner through (name removed by admin) website and had been liaising with villa owner directly via email but never contacted her by phone until last week when she wasn’t responding to several emails. The criminals hacked into the owners email account and were emailing me directly and intercepting my emails to her after I asked about how to pay for the villa. (name removed) will only offer £700 compensation, despite the fact that it was in the press last year and BBC Watchdog in Nov 2014 that this issue is rife and hundreds of people have been conned out of money using their site. The villa owner knew nothing of the problems and has been using the site for 4 yrs. I’ve reported to Action Fraud online, and gave a very detailed account to my banks Fraud Operations Team yesterday and they put my case to a committee which will decide whether to reimburse the money to me. I have to wait a week. Looking today at my holiday insurance and the wedding insurance I took out neither of them cover for fraudulent activity so I doubt I can claim via them. I’m posting to share my experience so others know what I have tried in case they find themselves in the same circumstances, but also to see whether you have any experience/heard of people ever having a refund from the (name removed) website, or have claimed via the owners public liability insurance (I’m going to contact the owner now to see if they have). I’m really angry that the security precautions re payment to villa owners and phishing scams are not more prominent on the website. Apparently one newspaper article online says that the villa website in question has £21 million associated with it – lost to customers because of email phishing and scams. Sorry to hear about your experience. I hope you get some form of recompense. Although there are insurance policies available to protect against fraud, they can’t be taken out after the event. Ideally the listing sites should underwrite against fraud. Maybe a future development? Keep us updated on the outcome as it may help other victims. I’m pretty certain that we have fallen victims to scam too. We found the property in a Miami Beach through a major holiday rental listing website and asked for availability through the messaging system. I received an instand message, saying that they don’t use the messaging system and that I would receive a response on my personal e-mail address. Once we received a period and offer that suited us, I had also spoken to them on the phone, I was sent a paypal link via e-mail. Paid a down payment of $500 from my credit card into their paypal account to secure the place. Receipt of the payment was confirmed and I signed an acrobat rental document – not on headed paper and in poor English. Further payments of the outstanding balance due 90 and 45 days before the travel. I now suddenly had a feeling of doubt, it’s a very special birthday trip and we are traveling with my 2-year old daughter, I don’t want to arrive in Miami to find closed doors in high season. So, I have tried to find out their company reg. no., which can’t be found anywhere and they refuse to provide. Spoke to them again and was advised to email my request. No response. Called the hotel within the resort and got a very cagey response that they didn’t know of anything and didn’t want to be associated with that matter in any form. Spoke to the property listing website who told me there was nothing to worry about as I spoke to them in person and they had been a member since 2006. Sent 2 more emails, one in response to their emails and the same via the listing site’s message centre. No response. No response so far either from the rental site’s service centre. Now I wonder, how on earth the property manager in Miami got hold of my private e-mail address in the first place! I think, they are connected! Certainly not paying the rest of the holiday and will book something else. But without actual proof of fraudulent activity, my credit card provider will not refund me the $500. Whilst enquiring about various holiday rentals from a few sites I had an email from a ‘property manager’ by the name of Robert, offering me a a recent cancellation in the area I was looking for. I was sent a link to the property but the property was already familiar to me as I had contacted the owner directly who said they weren’t free. I contacted the owner again who confirmed they do not know ‘Robert’ and that the villa still wasn’t free. Upon further inspection, even though the website link opened to look exactly like the Holiday Rental web page, the address was different. and running it through scamadviser.com alerted me to the fact that it was a high risk site only created over a week ago! I have not given any money fortunately but in the initial stages of booking i did give my home address details as well as telephone number and email, so slightly concerned as to how this could be used. Well spotted and thanks for mentioning the scamadvisor site. Cutting and pasting some text from a website or classified ad should list any duplicates where you can check if the contact details are the same, anything suspicious. Copyscape is also useful. Ok, so have been around the houses (‘scuse the pun !) trying to find out if a bank transfer is covered by either home or travel insurance… no joy. Does anyone have recommendation for separate insurance outside of travel insurance to guard against fraud ? Sorry to hear this. Hopefully the site will be removed from the internet soon and the scammers are caught. I booked an apartment in Tenerife that advertised a pool. There were six photos on the website however for the two weeks we were there the pool was closed and empty. I asked for refund of an appropriate sum from the apartment managers and they have responded by telling me they will report me to British police for attempting extortion. Hi I have booked a villa in Portugal for June this year we have paid the deposit through PayPal and I have received by email a form to fill in passport details for each guest, I found the villa on owners direct but have book through the owner direct I was a little suspicious so went back on owners direct to find the property and couldn’t so I emailed the owner to say I wanted to look at photos again but the property was not on the site, she said that happens sometimes I will go and change it again she gave me a mobile number so I could contact her through WhatsApp and she gave me another website that I could view the villa on so I checked that out seemed all ok and photos were the same as on owners direct, we are now less than six weeks away so I contacted Lorraine the manager to arrange final balance and she has said because we had paid the deposit through PayPal to avoid further charges we could pay the balance on arrival at the villa my question is this normal and how would I check if maybe this villa is the victim of someone advertising it without the owners knowledge and we arrived and the villa is already booked! The property should be on owners direct until the advertiser removes it or doesn’t renew, it doesn’t simply disappear for no reason. Each advert has a unique reference number which makes it easy to find. Contact owners direct to see if they can verify the listing (you should have a record of the advert from your original enquiry). What other sites is the property listed on e.g. Homeaway, AirBnb? Contact them to see if the property/owner can be verified. Is the contact phone number/email etc. you have the same? With regards to paying and fees, it’s now illegal for a UK company which is selling to UK consumers to charge credit card fees. Most owners include any credit fees in the rental rate. Paying cash on arrival is ok, but only if you are 100% sure that everything is genuine. Do you have a booking contract? I looked into the protection offered by paypal but it seems like if you don’t make a claim before 45 days then it won’t be valid. Thanks for pointing this out. This could be an issue as the peak booking season for summer holidays is usually January, some 5-6 months before holidays are taken. If a fraud was identified a few weeks before the holiday, several months after booking and paying, then there could be a problem reclaiming payments sent.